At BizOpp Zone, our mission is to bring incredible new business opportunities to people who want to be their own boss, take life into their own hands, and run their own branded company. One such opportunity is OrdersIn, a special toolkit which allows you to run a business selling online ordering services to local restaurants in your area who don’t currently have it set up. Our multi-restaurant online ordering system is a state-of-the-art, innovative platform that has increased the profits of countless restaurants who have decided to implement it. But, sometimes that’s not convincing enough of a sales pitch. Restaurant owners need to know how an online ordering platform could bring more patrons to their establishment, so it’s your job to be equipped with the facts if you want to start building that passive income! 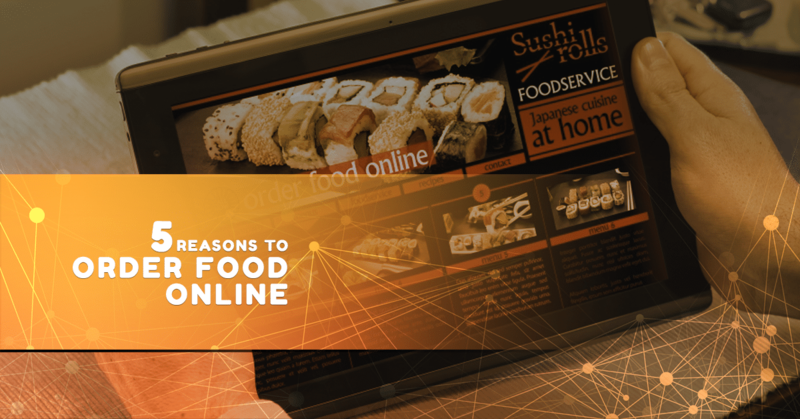 Let’s look at some reasons why many people elect to order food online instead of doing it in-person. These may not be things that many restaurant owners have thought of! Let’s think of the main reason why people opt to order food delivered to their door. Sure, sometimes it might be because they don’t have a working vehicle or because they’re injured, but in the overwhelming majority of cases, it’s because it’s just easier. Delivery saves people time and energy. There’s no car trip, no line, no waiting around, just food that arrives at their door. Delivery, unfortunately, severely drives the price of the meal up. Delivery services typically have a “delivery fee” which pays for the gas mileage of the drivers. This can be as little as one dollar, or an outrageous five dollars. And then there’s the question of tipping — three to five dollars is a reasonable tip for most food delivery jobs. Between those costs and tax, you’re looking at seven or eight bucks added to your meal. That’s enough to feed a second person! While online ordering isn’t as convenient as delivery, it’s a good compromise between delivery and the traditional restaurant experience. A person can order online, sit around at home while their food is prepared, and then take a quick drive to pick it up. There’s no waiting in line, no forced conversation with the cashier, nada — it’s a quick in and out experience. For countless people, this is a preferable alternative to paying the fees that are usually associated with delivery. Online ordering is a boon to those who are sick. Eating a good diet is helpful for recovery, but it’s often more effort than it’s worth to prepare a home-cooked meal when you’re feeling under the weather. And yet, delivery might not be the best option either — particularly because of the reasons we mentioned above. This is where delivery is a life-saver. They can order their food from the comfort of their bed, sit back and relax while it’s prepared, and then all they have to do is drive to the restaurant, pick it up, and quickly leave. The brief, in-and-out nature reduces their time in the restaurant, thus limiting the exposure of their sickness to other patrons, or more importantly, the cooks. You may be thinking, “wouldn’t it be better for them to not go inside the restaurant at all?” While this is true, consider the fact that sick people might elect to sit down and dine if online ordering isn’t an option. If you were a restaurant manager, which would you prefer? If you sign up for our new business opportunities to create your own branded company, you might be lucky enough to work from home, but this isn’t true for the vast majority of Americans. The average working adult has a place they travel to and from every single day. Some are fortunate to have harmless commutes that are five minutes or less, while others might face the burden of a 45-minute trip that’s often encumbered by traffic. In any case, online food ordering is a blessing to anyone who can’t afford to make a lengthy stop. A restaurant that serves breakfast food might see themselves selling a lot more food when early morning office-workers realize they can order online and make a quick stop on the way to work to pick up their meal. If all you have to do is walk in, grab the food, and walk out, it’s a diversion that can take less than one minute. Conversely, online ordering can also be useful for the evening commute. Many folks want food right when they’re done with work, but they also want to get home as soon possible. Making a quick stop at their favorite restaurant to bring a delicious meal home can be the perfect end to a workday. It’s also important to remember that an online order isn’t always a “to-go” situation. There are reasons to order food online, drive to the restaurant, and eat your meal there — one of them is large parties. It’s not convenient for anyone when you show up to a restaurant with 20 people unannounced. The restaurant, of course, will serve your group because it’s their job and they care about providing the best experience possible, but ordering online beforehand saves a lot of headaches. It allows the cooks to be less rushed, attending to other orders in the background while they build up your big one. Other patrons also benefit from this. There’s nothing more frustrating than showing up to a restaurant, and then seeing a busload of people get in line five seconds before you. Anyone in this situation will have to wait a tremendously long time to be served. On the other end of the spectrum, your group also because they’ll be able to eat right when they get to the restaurant. Large orders either result in each meal being served one-by-one (leaving your friends and family envious of your hot food), or all at once, which naturally takes longer than usual. Is there a local restaurant in your area that often gets giant groups coming in? You could make a strong argument that an online ordering system would be a “win-win” for everyone. This isn’t cheap marketing talk — it’s the bona fide truth! Most restaurants have no idea how much business they could be missing out on by not having an online ordering platform. How could they, when they’ve never known anything else? But the bottom line is that an online ordering system, combined with good marketing, could bring in countless new patrons. By choosing to implement one, a restaurant has nothing to lose and everything to gain. And that’s where you come in! OrdersIn is a platform provided by BizOppZone which provides you with all the tools you need to sell this essential service to the restaurants in your area. The best part? This is YOUR business. You get to be your own boss. You get to decide your brand name. You get to decide your prices, schedule, and employees. It’s your operation — we just provide the resources. Are you interested in new business opportunities that could change your life and improve your community? If so, you’ll love being a part of our OrdersIn program. Sign up today, and contact us if you have any questions!